Our liver is one of the most important organs to maintain our health. 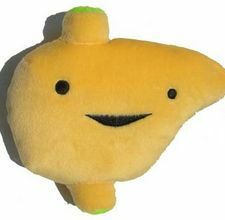 Simply by keeping our liver in good shape, we will be able to keep a lot of sickness at bay. Unfortunately, liver functions are quite complicated. Therefore, liver diseases are considered difficult to treat. Dietetic treatment is generally the only method adopted by Western physicians. Fortunately, Lingzhi is able to return this complicated organ's functions back to normal. When our liver function is declining, we feel extremely tired. Taking Lingzhi can help ease the fatigue. In fact, based on some practical investigations, it is found that Lingzhi contributes a very positive effect. Dr. Shigeru Yuji from Kinki University reported that 10% of liver disorders could be cured after taking Lingzhi for 2 months. 40% of the patients were relieved of their symptoms and their liver sizes were reduced. 50% of the patients felt their symptoms diminished. Dr. Mitsui Hashimoto, Head of Hashimoto Hospital, disclosed that he prescribed Lingzhi for hepatitis patients and it proved to be exceptional. He prescribed 6 capsules per day to some patients who could not benefit from other drugs. 3 months later, all the said patients were recovering. Their GOT and GPT values decreased from 200-300 to 100. When the liver sustains damage it will excrete specific enzymes, such as GPT (ALT) and GOT (AST). Abnormal values of these 2 enzymes indicate a problem in the liver. GPT (ALT) normal range is 5-35 IU/L. GOT (AST) normal range is 10-34 IU/L. Dr. Hashimoto revealed that a patient who used Lingzhi together with some Chinese herbal medicines also reported decreased GOT and GPT readings. There was another case of hepatitis complicated with hypertension. After taking Lingzhi, satisfactory results were obtained. The above conditions were not conclusively satisfactory, but positive results of taking Lingzhi on hepatitis can be expected. Or you can email me at laifuiping@gmail.com should you want to take care of your liver using Lingzhi as your solution. To buy, click here to refer to Shuang Hor company website for Product Description and Price.